June 5th in Plugin Lists, Wordpress Plugins by Wordpress Jedi . WP Github: this plugin has 3 sidebar widgets to show GitHub profile, commits, issues, and repositories on your site. Github Embed: pulls project information from GitHub and displays it in your posts. Just paste in the URL, and the plugin does the rest. 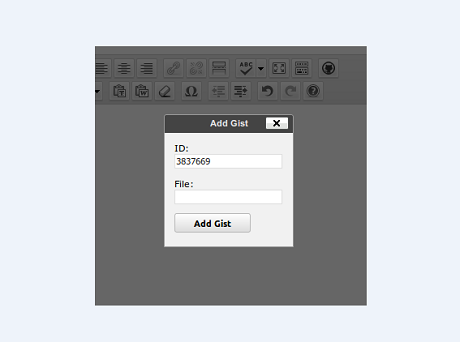 Gist GitHub Shortcode: lets you add GitHub gists in your posts using a simple shortcode. You can add a full gist or a specific file. 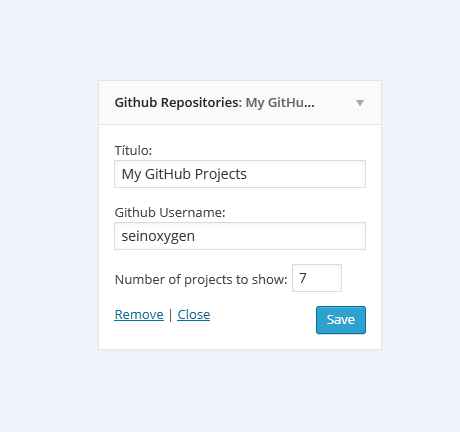 Github WordPress Widget: another plugin that lets you display GitHub repository information on your site using a widget. 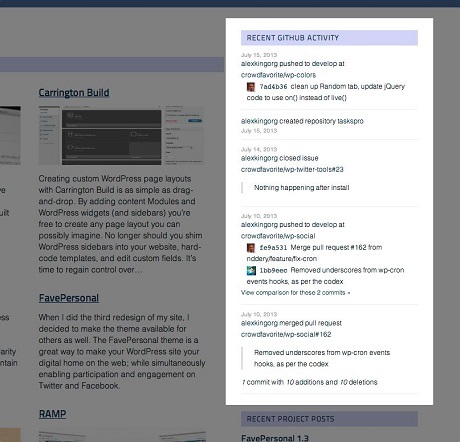 WP GitHub Activity: displays activity from your GitHub account on your site using a widget or shortcode. It does offer local caching for your activity feed. What are your favorite GitHub plugins for WordPress? Please share them here.